The Nun expands the Conjuring franchise when it comes to theaters on September 7. Set in the 1950s, the film follows Father Burke (Demián Bichir) and Sister Irene (Taissa Farmiga) as they’re sent to a Romanian monastery to investigate the suicide of a young nun. The investigation leads them down a dangerous path towards dark secrets – and worse, right towards Valak, a blood-thirsty demon disguised as a nun. We met Valak in The Conjuring 2, and based on that appearance The Nun could be the darkest chapter in the series. Its ability to inspire terror has a lot to do with the cast assembled by director Corin Hardy. Here are the people who’ll help The Nun give us nightmares. Taissa Farmiga’s character Sister Irene is a novitiate who experiences visions. Her unusual experiences put her on the road to the Cârța Monastery in Romania, where Valak lies. Whether Sister Irene’s visions will help in a time of need, we can’t say. Farmiga is a star on the rise with an impressive résumé in film and television. She made her big screen debut in 2011’s Higher Ground, then played Violet Harmon in American Horror Story: Murder House. Farmiga followed these projects with roles in The Bling Ring, At Middleton, and 6 Years. She also has experience with voice work, having voiced Raven in Justice League vs. Teen Titans and Teen Titans: The Judas Contract. Bichir, who plays Father Burke, became an actor at an early age. He first starred in Mexican soap operas, then gained mainstream popularity through his portrayal of Fidel Castro in Steven Soderbergh’s Che. In 2012, he was honored with an Academy Award nomination for his performance in Chris Weitz’s A Better Life. 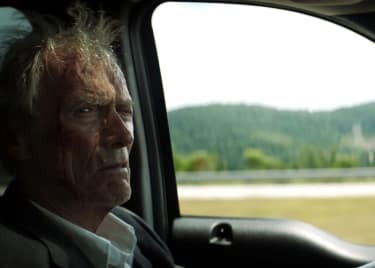 The actor followed up that success with supporting roles in films like Savages, The Heat and The Hateful Eight. Bichir also starred in 2017’s Alien: Covenant, as Sergeant Lope. Bonnie Aarons reprises her role as Valak, the demon entity from The Conjuring 2. 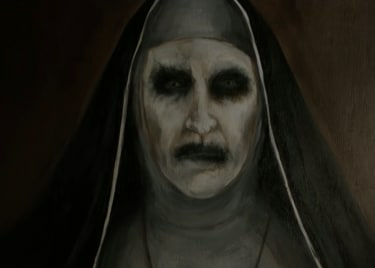 In The Nun, Valak haunts the Cârta Monastery, tormenting Father Burke and Sister Irene while they investigate a nun’s suicide. Aarons’s film career started with a minor part in Garry Marshall’s Exit To Eden, and continued with small roles in films like Mulholland Drive, Drag Me To Hell and Silver Linings Playbook. Fans of The Princess Diaries series will also recognize Aarons as Baroness Joy von Trolebuses. And, of course, there’s her role in The Conjuring 2. Valak was a key factor in that film’s success, and Aarons reprised the role for Annabelle: Creation, in an ominous post-credits scene. Charlotte Hope plays Sister Victoria, who is described as a “nun haunted by a demonic presence.” Hope began her career on television with guest appearances in BBC One’s Casualty, Missing, and Walking The Dead. In 2013, Hope joined HBO’s Game of Thrones, in which she played the vicious Myranda for eight episodes. Hope made the jump to the big screen in 2012, with a minor role in Les Misérables. Her film career continued with The Invisible Woman, The Theory of Everything and Miss You Already, in which she played the young version of Drew Barrymore’s main character. Bloquet plays Frenchie, a local villager. Bloquet first gained prominence in 2008 after starring in Joachim Lafosse’s Private Lessons. He also appeared in films like The Family, 3 Days To Kill, and Valerian And The City Of A Thousand Planets. Bloquet has also appeared on French television, in shows like R.I.S Police Scientifique, and Transferts. Bloquet’s character in The Nun is shrouded in mystery, but we’re looking forward to seeing what he does in the film. Ingrid Bisu’s character is Sister Oana. While not much is known about the character, she appears to be one of the nuns haunted by Valak. Bisu started acting at an early age, appearing on the Romanian TV show Casatorie de proba. More TV roles followed, on O lume a durerii, Tales from the Golden Age, and Nimeni nu-i perfect. Bisu’s film roles have given her more exposure outside Romania. She appeared in Portrait Of The Fighter As A Young Man, Outbound, and The Zero Theorem. Bisu’s breakout performance came in Maren Ade’s Toni Erdmann, which earned critical acclaim and was nominated for the Best Foreign Film Oscar in 2017. Jonny Coyne plays Gregoro. Much like the majority of characters in the film, Gregoro’s role remains a mystery. Coyne’s acting career began on television with guest roles in London’s Burning, The Bill, and Gulliver’s Travels. The actor’s first film role was a small part in Mike Leigh’s widely acclaimed 1996 movie Secrets & Lies. Minor roles followed in mainstream movies such as Would You Rather, The Hangover Part III, and Nightcrawler. More recently, Coyne starred in Fox’s Alcatraz and had a recurring role in AMC’s Preacher, as Allfather D’Aronique. The Nun arrives in theaters on September 7, 2018. Demian BichirTaissa FarmigaCorin HardyHorrorThe ConjuringBonnie AaronsCharlotte HopeJonas BloquetIngrid BisuJonny CoyneWarner Bros.